We greatly look forward to welcoming you. Information 2018-8-15　Launched the official English site. 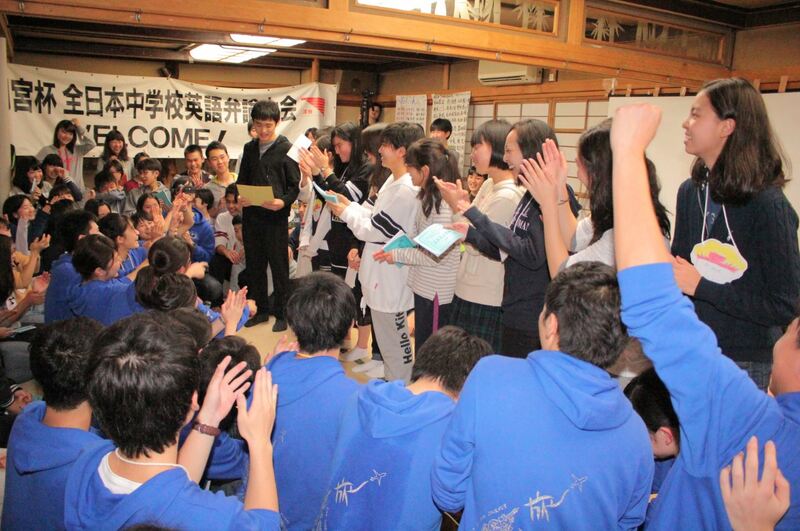 I would like to express my gratitude for giving me such a fascinating experience. The wonderful part of all is that the heart is, amazingly, continuing up until now. 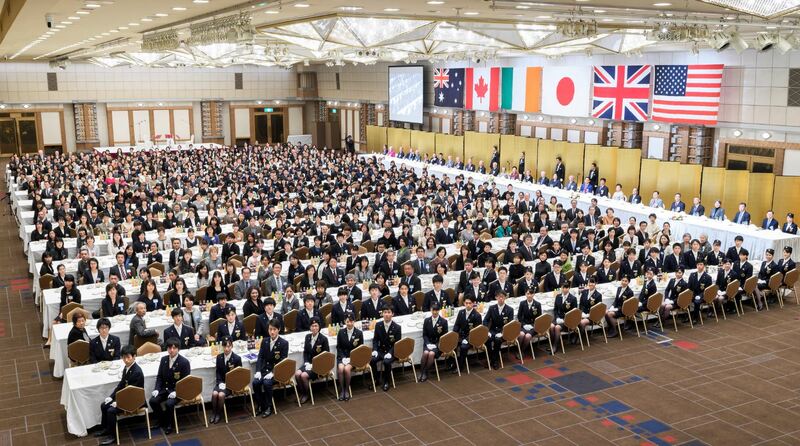 As Prince Takamado mentioned, the so-called "English speaker" is nothing special anymore. We should be highly aware of what the next generation is going to be required. Thank you for giving me so many unforgettable memories. One of the pleasures of attending the national competitions is the opportunity to meet and exchange ideas with other English teachers from all over Japan. The "cafe" held on one of the evenings was especially memorable, as teachers both reaffirmed and rediscovered what is relevant in being a "good" teacher. 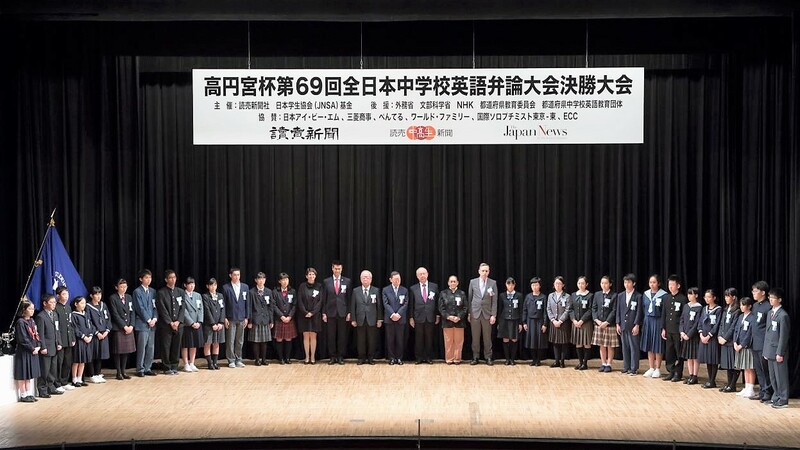 Coming from being a high school instructor in Japan, this was my first time having a student participate in a speech contest for junior high school students. I found that in the regional preliminary as well as the final round there was little to separate the contestants. All the students' performances were very polished. Copyright © H.I.H. 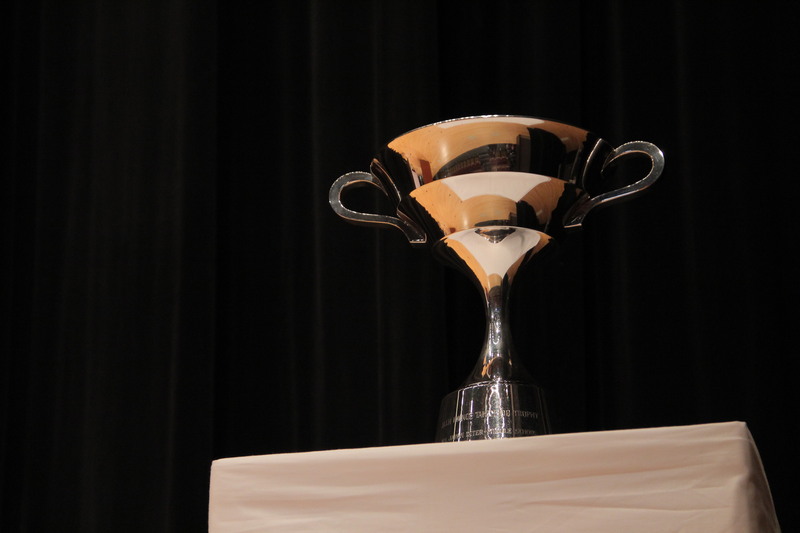 Prince Takamado Trophy All Japan Inter-Middle School English Oratorical Contest All Rights Reserved.